On "tripadvisor", this bistro has obtained 15 comments, 4 people marked it "excellent" and 7 "very good" – which only shows, once more, that user-generated content is a very tricky thing. 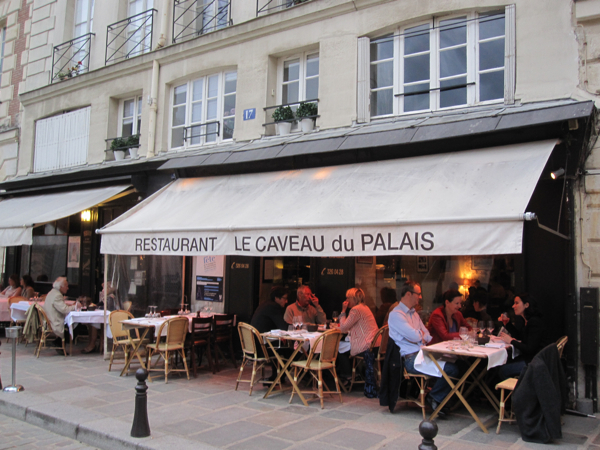 Let’s face it: "Le Caveau du Palais" is, in culinary terms, a very average restaurant, if that. 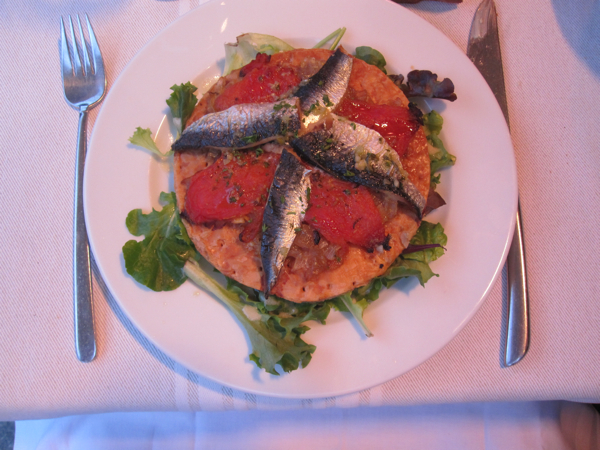 You wouldn’t miss it if it disappeared, and yet...it has what Parisians call a "charme fou". It’s all about location, actually. 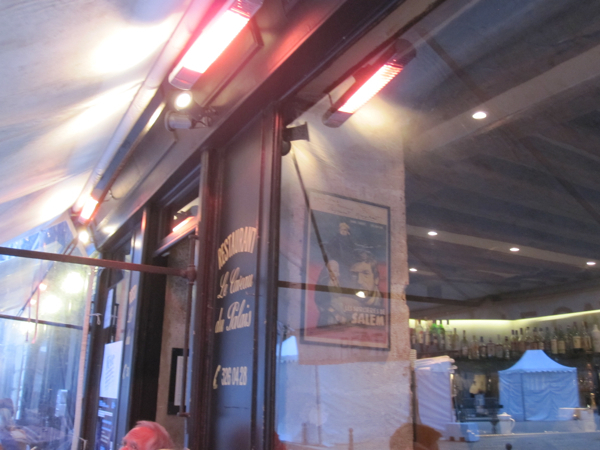 The bistro sits on Place Dauphine which is unknown even to many real and aboriginal Parisians. It’s a miracle though: this spectacular, triangular square on Ile de la Cité should be world famous, yet it is not. It seems that most ramblers always take a left or a right turn just before entering it and so it really is a hidden, almost forgotten spot right in the old center of the city. They put chairs and tables out on the sidewalk at "Le Caveau" which is a good thing. At lunchtime, lawyers and prosecutors from the nearby Palais de Justice share a bottle of red while having a sardine tarte or a grilled andouillette or a magret de canard (the French version of duck breast). The menu reads like a cliché of a French bistro, they obviously aim at tourists here but who cares. You can order a very decent red Sancerre, served refrigerated as it should be, and then forget about the struggle in the kitchen. Because in front of you, right before your eyes, a piece of Paris almost unexplored, beautiful and worth every restaurant bill is spreading.